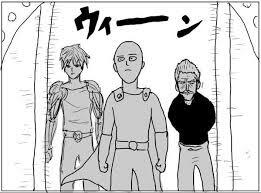 I have been reading One Punch Man manga for a while now, and noticed that there's apparently a webcomic on the internet too. Some people told me that the webcomic is original and the manga is headcanon, is it true? Firstly, the Manga isn't headcanon (Note:A lot of fan made manga does exist). It is a detailed redrawing of the Webcomic, with extra chapters occasionally drawn in. The Webcomic is way ahead and is more or less the same, word-for-word if compared to the completed chapters of the manga. I personally recommend reading the manga first and then continuing with the webcomic. However, the webcomic tends to deliver its humor a lot better because of the ridiculous art style. The original One-Punch Man webcomic was created by ONE himself, who also created Mob Psycho 100. For the original webcomics, ONE did the "drawing" himself, and his drawing skills are more or less close to 10-year old kids. Later on Weekly Young Jump came to realise the potential of the web-novel and officially did the redraw for the series. Not the answer you're looking for? Browse other questions tagged one-punch-man or ask your own question. 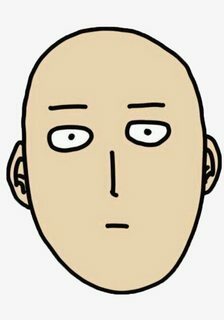 Who is this character in One Punch Man? Which chapter of the One Punch Man webcomic should I start on after seeing the anime? Why is One Punch Man considered a parody anime? Fight differences between One Punch Man anime/manga/webcomic? When is the release of One Punch-Man season 2? According to ONE, who would win in a fight between Tatsumaki and Mob? Which chapter should I start on in OPM Webtoons? Would Saitama resume Training, If he was defeated in battle, in future? In One Punch Man, is King actually weak? Which characters in One Punch Man have regeneration abilities?